WP Hosting | Managed WordPress Hosting. Happiness included. 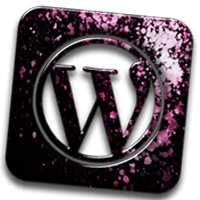 Quality hosting aside, we can take care of most WordPress issues you’ll ever encounter. Think of us as the Swiss Army knife for your WordPress website. We can register any domain extension you like. Already have a domain somewhere else? No problem – we can use those too. If you can’t wait for an answer from the community, if you get stuck doing it yourself or if you just want The Professionals to do their job – we’ve got options for you! We give you a no-headaches approach to web hosting. Here’s a list of shared hosting packages we offer. They all come with WordPress pre-installed. If you want to host more than one website, you can purchase multiple instances at once for additional saving. And if you ever outgrow those, then we can move your sites onto one of our Dedicated Servers.